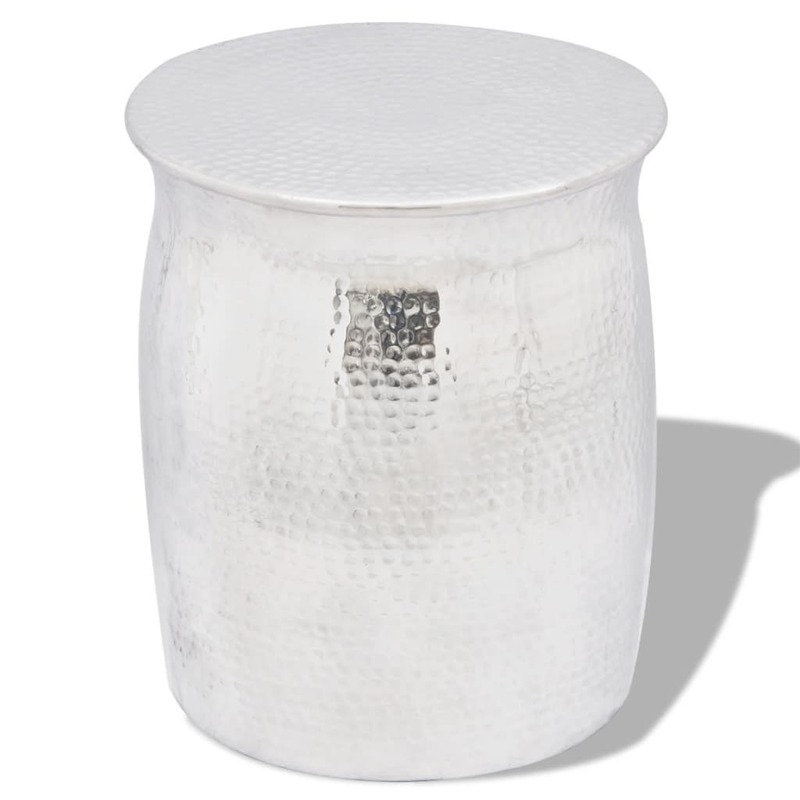 This aluminium stool, stylish and rustic, is not only comfortable to sit on, but also highly decorative. 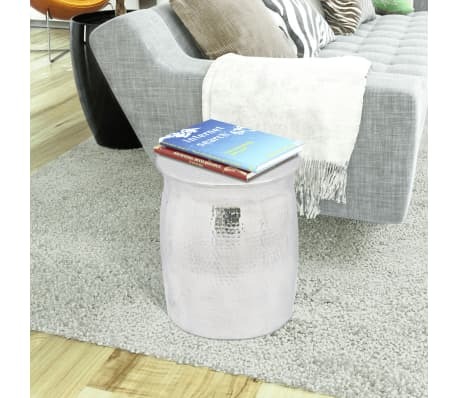 It can also be used as a side table to place food or drinks, or to display decorative objects like photo frames, or even potted plants. It will become the focal point of any room and complement a variety of furniture styles. 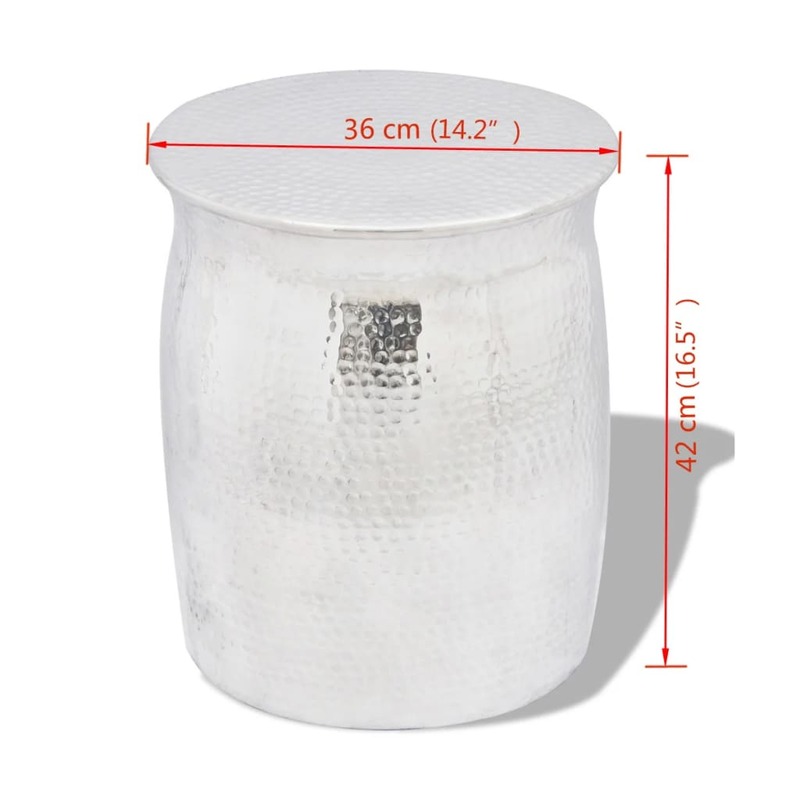 The stool/side table is made of high-quality aluminium with a polished finish, which makes it extremely durable. 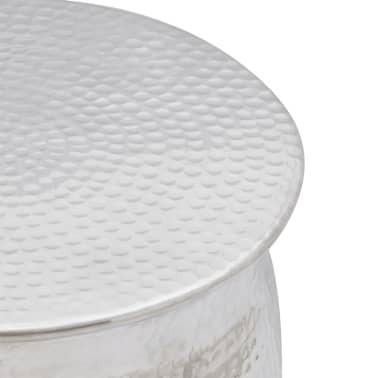 The attractive hammered finish adds a tactile texture to the stool. 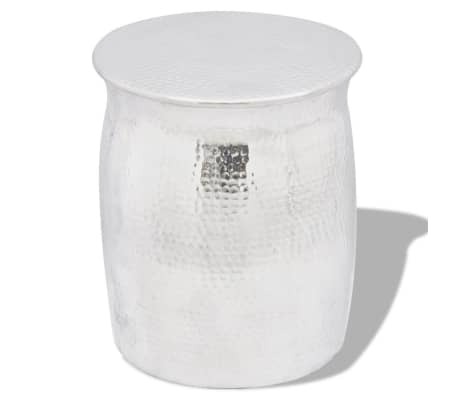 I am very pleased with my little silver hammered side table. It was extremely reasonably priced & matches a larger one that I bought else where that was really expensive in comparison. It arrived quickly & the quality is great. 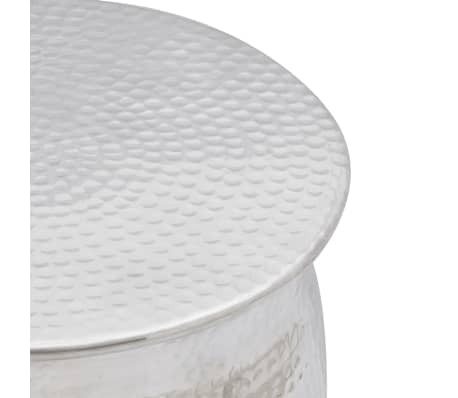 I like my side table however I received it dented. I needed it so much I didn't send it back but I was thinking it was the delivery guys but who knows. 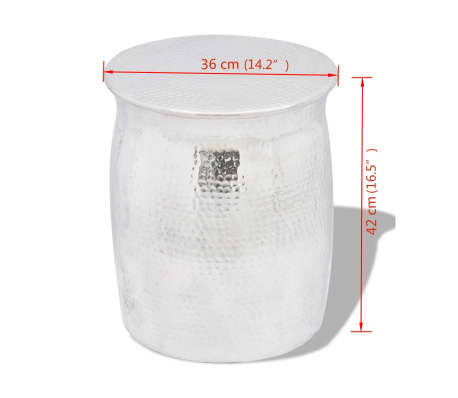 Great size and light stool.....beautiful stylish stool but when I received it, it looks like used as so many marks and scratches all over it. But got £15 partial refund for that, so still happy with my purchase.